The General Assembly will consider several pieces of gun safety legislation. But, a poll from Virginia Commonwealth University shows Virginians don’t have a clear-cut opinion on some of those issues. At least one school division in Virginia has considered arming its teachers to protect students. According to the poll from VCU’s Wilder School of Government and Public Affairs, Virginians are split on the issue. Robyn McDougle helped conduct the survey. There was more of a consensus when it came to allowing guns at public events, like festivals or concerts. 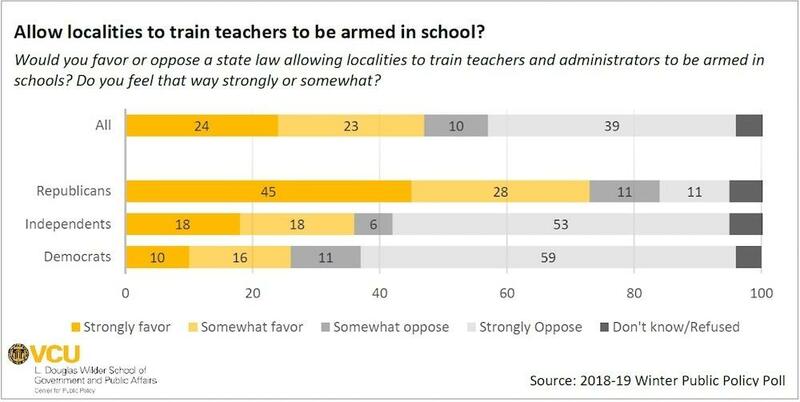 That compares to just 28% who said protecting 2nd Amendment rights was more important than prioritizing public safety. The rise of 3D printing is creating a whole new world for manufacturing all kinds of items. But it’s also created new concerns about security at courthouses and airports.